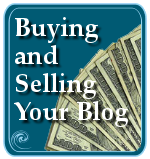 Running a blog, whether for yourself, to make money, or with multiple bloggers, is work. Sure, blogging is fun, but there are a lot of things you need to do with your blog to keep it in top working order and shape. Let’s look at some useful WordPress Plugins that will help your blog stay in shape. Read through the installation and usage instructions to make sure these WordPress Plugins will work with your version of WordPress. Plugins which test, maintain, or change the WordPress database or make changes to the Administration Panels may be version-specific. Backup your WordPress database before installing and using any potentially trauma inducing WordPress Plugins. Without a doubt, the MOST important task you, as a blog owner, must do on a regular basis is backup your WordPress blog. The number one tool for backing up your blog is the WordPress Database Backup Plugin. The newest version backs up your database with an option to backup automatically, on a schedule of your choice. You can set it to backup hourly, daily, or weekly. Backups can be automatically emailed to you, too. And it works with WordPress 2.1. This doesn’t cover backing up your WordPress Theme and Plugins, and any changes you make to your WordPress setup. That you still have to do yourself. See Backing Up WordPress for details on how to do this. There are times when your blog goes down, or you need to work on it. You need an “under construction sign” to let visitors know that your blog is temporarily down and that you are working on it. Under Maintenance WordPress Plugin makes your blog temporarily unavailable with an easy-to-customize message, alerting visitors who may be worried. Based on this Plugin, others went farther and added on additional features. WP-Outage WordPress Plugin and Site Unavailable WordPress Plugin include setting the amount of time the site will be done and gives Administrators a chance to see the message or see the site as normal when the site is unavailable. Also check out Site Maintenance WordPress Plugin. There are also a variety of WordPress Plugins which allow you to make an announcement on your blog using a sticky post, but these create a post you might want to delete later and then deal with redirects and such. If the announcement is temporary, such as a pending maintenance shut down or a special event, try the Easy Announcement WordPress Plugin. 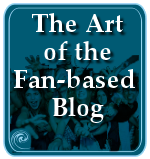 It allows you to add a simple announcement to the front page of your blog. The announcement is never part of the posts, Pages, or categories. If all else fails, make sure you have a good 404 Page Not Found Error, such as the Dunstan Style Error Page WordPress Plugin. It adds a 404 page error page similar to the one by Dustan Orchard with a lot of options to help the lost visitor. That error page is one of the best I’ve seen in a while. There are a lot of these WordPress Plugins that help you administrate your WordPress blog that you, personally, might not be able to live without, but there are a few that no WordPress blog should ever be without. Among those are comment spam plugins, and the following. The WordPress Installer – The Plugin by Matt Read, which I reviewed last year, is a must-have WordPress Plugin. The WordPress Installer connects with WP-Plugins.net to help you find, install, and manage your WordPress Plugins. Not all WordPress Plugins are designed to interact with the WordPress Plugin Installer, but many new ones do. Update Manager WordPress Plugin helps you keep your plugins updated. Going down the Plugin list to click every Plugin author’s page to look for updates is a pain. Update Manager checks in with the WP-Plugins.net database for any new updates or information related to the Plugins you have installed on your blog. Your WordPress database occasionally needs a little loving care and fixing from time to time. There are a variety of WordPress Plugins which make accessing and maintaining your MySQL database much easier. phpMyAdmin WordPress Plugin is a favorite of mine. It allows access to your WordPress Database through phpMyAdmin from within your WordPress Admin Panels. My web host’s interface really stinks and I have to click through numerous page spawning links to finally get to phpMyAdmin. With this Plugin, I can get access to my database and database tables without any stress or strain. WP-DBManager WordPress Plugin allows you to optimize, backup, delete, restore, drop/empty tables, and run selected queries on your MySQL database. Fix Database WordPress Plugin attempts to repair your database, checking it for errors and fixing what it can, as well as optimizing the tables. Be sure and backup your database before using. Database Tuning WordPress Plugin (German) (English) “tunes” the WordPress Database by repairing tables and optimizing the database. NOTE: Currently works only with pre-WordPress 2.1. Tidy Up Plugin can run HTML Tidy from the Administration Panels through all your posts, pages, and comments to generate a report on “how dirty your code is”. Optionally, you can use the Plugin to automatically update your database with the cleansed data. HTML Tidy cleans up malformed HTML and XHTML code to produce clean XHTML. Backup before using this, just in case. WordPress Suicide WordPress Plugin is a novel Plugin. It helps your WordPress blog die. 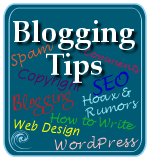 There are times, and I hope few, when you want to just “wipe the slate clean and start blogging without any baggage”, says the Plugin author. With a single click you can delete all the data within your various WordPress database tables and clean the whole thing out and start fresh. Do I have to remind you to use this cautiously? Search Regex Plugin adds search and replace functionality to the WordPress database, allowing you to you to search across posts, pages, comments, and meta-data and replace code and terms. This is great if you change your blog name, URL, or make other drastic changes, saving time instead of going through each post and Page and manually making changes. For more search and replace WordPress Plugins, see Helping WordPress Search With WordPress Plugins. Blogs feature images and files for uploading, downloading, and everything in between. I discussed a few gallery and file uploading WordPress Plugins in WordPress Plugins for Images, Photographs, and Graphics, but let’s look at some of the serious uploading and downloading tools available as WordPress Plugins. WP-Upload Manager The WP-Upload Manager is a plugin to perform various upload management tasks such as checking the upload files’ references in blog posts, and deleting unwanted uploaded files. WS DownloadManager Plugin allows you to upload, edit, and delete downloads from your Administration Panels. It also gives “clickstats”, tracking download statistics, and provides other statistics and customization features. WordPress Organizer WordPress Plugin helps manage your files in WordPress. You can view, upload, copy, rename, and delete files. Image resizing for thumbnails and other otions are also available. If you handle a lot of files or images on your WordPress blog, this WordPress Plugin may make the task much easier. WordPress Download Monitor Plugin features a consistent way of linking to files and records the number of download hits. It includes Plugin template tags for showing the most popular, recent, and random downloads of files in your WordPress Theme sidebar. Download Counter also tracks the number of downloads from your blog through an Admin panel. WP Downloads Manager Plugin (Italian) (English) is another download manager that helps you manage your files. Need a WordPress Plugin to help you convert posts to Pages and help you manage your posts, Pages, and WordPress categories? Categories and tags. Tags and categories. Switching from one to the other, adding, deleting, and changing your category’s titles as your blog evolves is just part of the process. The following WordPress Plugins will help you manage your post categories. Batch Categories WordPress Plugin is a life saver for screwed up category lists. It works with WordPress 2.0 and above and allows you to sort out your posts in categories fast and easy. However, like all such things that mess with your database, backup your database before trying this. You can assign multiple posts to a category or delete multiple posts from any category. I’ve had terrible times when I’ve added a new category and wanted to add old posts to the new category. Or after uploading a new import, hundreds of posts went into the wrong category. Fixed in a few minutes. This is a serious time saver. WP-Cats WordPress Plugin is another category manager which works from the Write Post panel and allows you to quickly remove categories from individual posts. For those who are switching from treating categories like tags to using categories as categories, this is a fast way of narrowing down your categories. Category Overload by Alex King is another category management Plugin that replaces the category management interface for WordPress. If you are dealing with a lot of categories on your WordPress blog, Category Overload offers paged viewing, 50 at a time, of your categories, which reduces the load on your database that comes from loading hundreds of categories. For those using categories as tags, they add up to a huge number. This is a good category manager to try to help you get control over your categories. WordPress Sort Category Posts By Title WordPress Plugin displays your category posts alphabetically on the category page views, leaving the traditional chronological view on the front page of your blog. If your posts aren’t chronologically ordered, or if it’s not important that they be sorted by date, then this is a great way to create an alphabetized listing of your posts within their category. There WordPress Plugins that help you manage your posts and Pages, such as converting a post into a Page, and sorting and organizing them. Post2Page will convert any post into a WordPress Page on your blog, and will also include redirects to the new location. The Mass Edit Pages WordPress Plugin allows editing the Page parent and menu order of many pages, and more from a single panel in your Administration Panels. PageDate WordPress Plugin modifies the post date when a post is updated. It does not change the order in which it is displayed, just modifies any use of the post date template tag in your WordPress Theme. It happens. You move your blog, you change your permalinks, you do something that upsets the delicate balance of all those links coming in and connecting to various posts and pages on your blog. It’s time for some redirection help. Angsuman’s Permanent Redirector Plugin will help you handle redirecting your blog’s links after a big move or change. Permalinks Migration adds an Admin Panel for redirecting URLs from old addresses to new ones when you change your permalink structure or a post slug name. Page Links To WordPress Plugin is another 301 or 302 Redirect Plugin to help manage URLs when you move things around. Auto Permalinks WordPress Plugin will help you add your permalink structure to your .htaccess file if you are nervous about doing this yourself. If you need information and help figuring out what permalinks is doing with its redirection of your blog posts, WordPress Internal Rewrite Viewer Plugin will give you a peak under the hood. This is not for the casual user but for those testing and debugging permalinks. 404 Notifier WordPress Plugin allows you to track your 404 Page Not Found Errors. You can monitor them on your Admin Panels, or through a feed. Or you can set the option to be emailed when someone stumbles on a 404 Page Error. Warning: I have a lot of redirects on one of my blogs and when I activated the email option, over 3,000 emails hit my email account. These were all triggered by web crawlers and spammers hitting old links and not being redirected. Check the feed or Admin Panel first to clean up your 404 errors before you turn on the email option. I mentioned Dunstan Style Error Page WordPress Plugin, but don’t forget that you can create you own error page with the instructions in Creating a WordPress Error 404 Page on the WordPress Codex, and include WordPress Plugins for searching your blog, related posts, and other Plugins that may help the lost visitor be found. I brought to your attention a variety of WordPress Administration Panel WordPress Plugins to change the look of your Administration Panel interface. There are also WordPress Administration Panel Plugins which don’t change the look but actually change the way you work with the various panels. Clutter Free lets you hide portions of the WordPress posting interface that you rarely (or never) use. Instead of being minimized (and still taking up room), they’ll be completely invisible. Clutter Free completely removes out the Post Preview, i.e. it doesn’t just hide it and so you save a good deal of bandwidth and loading time. If you are using the WYSIWYG editor then it works wonders because the editor only loads once the entire page is loaded. Kill Preview 2 WordPress Plugin will kill the post preview in your Write Post panel, eliminating the preview of what your post will look like when published. There are also WordPress Plugins that control what various users and authors see on your blog, depending upon their permission levels. I’ve listed a few below under Managing Users, and I’ll be doing a post on WordPress Plugins for multiple blogger blogs soon. I will be discussing more about how to manage a multiple blogger blog, but let’s look at a few ways of managing multiple users on your blog. Role Manager, originally by David House and Owen Winkler and now managed by Im Web Gefunden, is a great way of controlling the level of access users, contributors, and editors have on your WordPress blog. You can customize the different levels of access for each user, allowing them to see only what you want them to see, as well as edit only what they are permitted to edit. Audit Trail Plugin allows you to track user actions on your blog including login and logout, post and Page revisions and changes, and other multiple user actions. It is fully localized for international usage. Report Posts WordPress Plugin allows users to report a post as inappropriate or incorrect. A list of the reported posts will appear in the Administration Panels. 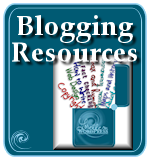 Excellent for multiple user and blogger blogs. For information on contacting registered users on your blog, see Subscribe, Email Mailing List, Blog Update Alerts, and Newsletter WordPress Plugins. WordPress Plugin Mechanics: What’s Going On Under the Hood? I found a few WordPress Plugins that help you look under the hood of your WordPress blog to see how it is doing. WP ServerInfo Plugin provides information about your blog’s server on your Administration Panels, including versions of MySQL, PHP, and phpMyAdmin that related to WordPress. It makes no changes to your database, just provides information. Diagnosis WordPress Plugin adds a subpanel to the WordPress Administration Panels so the administrator can look under the hood at the technical information about the WordPress installation, server information, and other technical goodies. Throttle WordPress Plugin helps you monitor and report the current load of your WordPress blog’s Plugins, Themes, and other bandwidth hits. It is especially designed to help WordPress Plugin developers test and verify their Plugin loads. It also helps to redirect and reduce the load levels. WordPress Cache Inspect let’s you monitor your WordPress cache and clear it manually if it needs it. There are a variety of WordPress Plugins that just help you blog better. They help you keep track of things, find things, be reminded, and generally, just help you. Edit N Place WordPress Plugin allows you to edit your blog posts without accessing your WordPress Administration Panels. It uses AJAX and with a click or two, you are editing your page. Future Posts Calendar Plugin provides a calendar on the Write Post panel to show you when you have upcoming posts, and when you don’t. If you work with future posts a lot, this will help you determine how many posts you have coming out on which day, and which days you have none, so you can fill in the blank. Dash Note helps you keep better care and track of your blog post drafts, and offers you a way to keep track of what you want to blog about. You can leave a note for yourself, or turn your notes into posts. See also Khanh’s Instant Notepad WordPress Plugin. ToDo List WordPress Plugin adds a to do list to your WordPress Administration Panel Dashboard. Our Todo List Plugin goes a little further with their to do list Plugin, adding support for multiple users to add notes and check off tasks. What Are Your Favorite WordPress Administration Plugins? Do you have one or more WordPress Plugins you can’t live without that help you manage and maintain your WordPress blog? What do you recommend? This entry was written by Lorelle VanFossen and posted on February 20, 2007 at 8:03 pm and filed under WordPress, WordPress Plugins, WordPress Tips with tags 30 days of wordpress plugins, how to use wordpress, wordpress, wordpress help, WordPress News, WordPress Plugins, WordPress Tips, wordpress tutorials. Bookmark the permalink. Follow any comments here with the RSS feed for this post. Post a comment or leave a trackback: Trackback URL. Perhaps Tiger Style Administration (http://orderedlist.com/wordpress-plugins/wp-tiger-administration/) is my favorite. Although the native blu-ish theme created by the WordPress team is nice, I wanted a little more in terms of style. The plug-ins sound fine. However, being terrible non-techie, etc., I’m not sure whether you mean that these are plug-ins for the WordPress software that one freely downloads OR whether these plug-ins can be grafted into the internal suite of functions on my site with WordPress. WordPress Plugins are for full versions of WordPress, not WordPress.com blogs, which you have. I recommend you read Which WordPress Plugins Does Lorelle on WordPress Use? 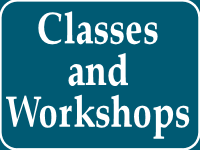 for more information on what works and doesn’t work on WordPress.com blogs. And if you want to have some fun with your WordPress.com blog, check out what else you can do in the WordPress.com Blog Bling series. But in general, WordPress.com bloggers get to concentrate on their blogging, not digging into the code. Wow. Really a great list. Thanks for compiling it. are there any suggestions for alternative WYSIWYG Editors out there for WP 2.1+ ? 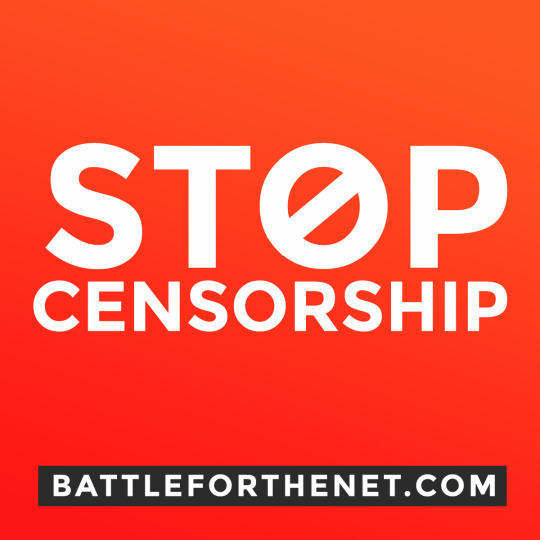 I’d like to prevent certain authors from posting to the frontpage of the site. Tried using a category plugin which allows only certain user levels to post to a specific category and another plugin that only allows a specific category to be posted to the frontpage. But it seems all the plugins out there cause database errors with my site and don’t work. Do you have any ideas how I can allow certain authors or certain roles under role manager to post only to the 2nd page of the site? You use Conditional Tags in your WordPress Theme that says “if post is by author X, don’t display”. I don’t understand what you mean by “second page” of your site. You must be using a static front page and have a secondary page, emulating a magazine feel, which is cumbersome, but the above will work. do you have a specific plugin you recommend for making the site unavailable to the public, but still viewable by admins – i.e. something to test a new theme without letting the whole world see? I believe there are some listed in this article. There are a few, but they all do a variety of things. You’ll have to try them to see which works best for your needs. On the Write Panel, you can password protect any blog post. It’s that easy, which is probably why you haven’t found a way since it’s kinda obvious to people. In WordPress 2.5, look in the sidebar panel on the Write Post Panel under the date and time and check the box that says Make this post private. I believe that only works for the admins. If you have subscribers, they still wouldn’t be able to see that post unless you gave them all the password. i just need your help, As you have good knowledge about wordpress please help me out! i m using vps to run my wordpress blog and now my wordpress blog have more than 20000 members, but now there is a problem. whenever any new user register an account he didn;t recieve the varification email , and i got the email of error that a particular server has rejected the email. its just now working for those people who are using the gmail email address to register an account. 2. my second biggest problem is that sometimes my blog all resources wildly and finally server reach to red sign and shut down. 3. when people login in their account they can also see all those stuff which can be see only by the admin. not including setting option and write option. how can i set a special interface when they login. please answer these three question. Your knowledge will really helpful. Sounds like you have a lot of issues. The WordPress Support Forum is best for resolving most of these as they go beyond what I can do here for free on the blog. They will need to know which version of WordPress you are using, as some of these issues may have been resolved in the latest version, solving your problems. Using WP Super Cache may resolve your server issues. Go through all your Plugins and update them. Some of them may be sucking resources because they aren’t as efficient as they should be. Kill things you really really don’t need. There is a lot of crap out there that people think they need but their readers never use. Using the Role Manager WordPress Plugin will help define who can see what based upon their authority and permissions. Thanks for the WordPress plugins list Lorelle- You have done your homework =)Dean asked in his comment about using another WordPress WYSIWYG Editor @ have you tried FCKEditor .This plugin Replaces the default WordPress editor with CKeditor. There is little need to use another editor today with the improvements to WordPress’ editor. is there a permalink manager where in i can see all my permalinks and edit them when they are too long ? No. Don’t make them too long in your post titles or edit them in the post panel. It’s called the post slug. Categories are set by permalinks. Post slugs are immediately edited on the post panel. I am in over my head, I have a wordpress blog, and I was having a lady take care of it, She is providing hosting and I’m not really sure what is going on with it anymore, I really wish I could do it myself! Is this a possibility or do you really need a college degree to make it work? WordPress is not hard. You just have to be specific with what you need to have done. WordPress Support Forums and WordPress Codex, the online manual for WordPress Users, and contextual help on WordPress itself, is usually all the help you need, and then, if you need more, there are tons of books. To begin with, your site is clearly not your own if someone you do not trust nor can work with is hosting it. Get it off her server and onto a professional web hosting company. If you aren’t serving up ads or direct sales, which it looks like you aren’t, consider moving to WordPress.com and paying a low fee for domain mapping, having your dot com go to your WordPress.com site. 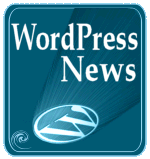 WordPress 2.9 which is not very old but requires updating. Start there next. Make it easy on yourself. For anyone looking for a great resource on WordPress Plugins to Administer your site, Lorelle has just about everything you need to get started. Check out the site here.